Well, I’m again late late with the listen-a-long recap, as Episode 3 (“Fair Weather”, by Margaret Dunlap) has been out since Tuesday. With Episode #2 we see Bookburners HQ at the Vatican (“Looks a little Satanic for around here, doesn’t it?”), meet a new team member, and ride along for Sal’s first official mission with the Societas Librorum Occultorum. Coming into the seven-sided-star-themed headquarters, Sal meets the very friendly Archivist Asanti and gets a mini-tour and an abridged history lesson, from which we learn some pretty interesting stuff, such as that there is a magical “Orb” which alerts the Order to magical events, and that there are currently three teams, and… that there used to be a Team Four: Research & Development, peeling back the veil of magic, peeking under the hood, and rummaging around to see what happens when you rummage around in there. Summary: Not Good. Not Good At All. Also in the “not good” category: the creepy vibes coming off of the exorcists from Team Two. Also not good? Sal’s brother, Perry, is still comatose, IV drips and electrode monitoring and not particularly hopeful, though somehow the Order has been able to move him to a hospital room in its own headquarters as well. He’s the reason Sal’s here: not just to do her part to fight this strange new evil she’s learning about, but to actively hunt in the only domain likely, however unlikely that may still be, to contain something that can help him. In Max Gladstone’s pilot (“Badge, Book, and Candle”) we spent the entire episode in Sal’s close third person point of view; with “Anywhere But Here” Slattery begins with two sizable scenes with Sal, but then cuts from point of view to point of view with short, well-paced scenes, not only within the Order but also without, as, of course, like Chekhov’s Gun, the Orb, once introduced, must sound its alarm, and so it’s off to Madrid and to Gabriel, manager of a decaying movie theater in the process of closing its doors, that Slattery sends us. Cleaning out the shelves of old films in the basement, Gabriel finds a book. A very old book. (You see where this is going?) He takes the book back to his apartment, opens it, and Unspeakable Evil pours fourth… only it doesn’t. Not all Very Old Magical Books (VOMBs, yeah I just made that up, I think it’s an acronym that’s going to come in handy throughout this series) are possessed by entities as power-hungry and evil as The Hand from the Liber Manus of episode one. The book Gabriel finds happens to simply make all of his dreams come true, and give him fantastic adventures, all while he sits, head buried in its pages, in his apartment. 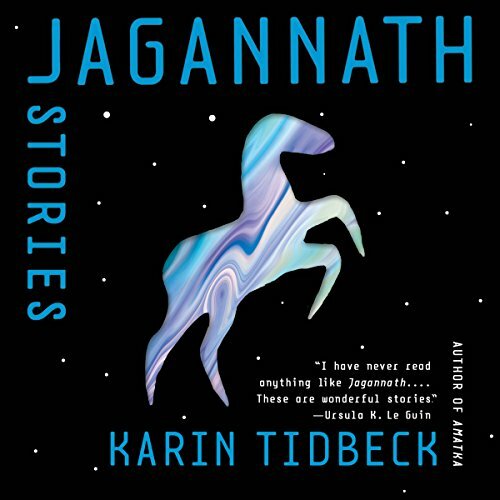 Audiobook narrator Xe Sands once again knocks it out of the park, adding new major characters like Asanti into her characterizations seamlessly, and creating an entirely different verbal motif for the Madrid-set cast of this episode. And! Though not quite the performance of meteorologist Liam Sutton’s nailing the pronunciation of Llanfairpwllgwyngyllgogerychwyrndrobwllllantysiliogogogoch, Sands does get to fire off Iceland’s Eyjafjallajökull, referencing the volcanic eruptions there as part of the continuing “secret history” of the Order’s activities. Where Sands really shines here is in the closing scene, expression the exhaustion, all of mental, physical, and spiritual, of Sal as she considers the roles of magic and faith in this new world, against the tide of rising magical emergence and her continued feeling of hopelessness about her brother’s chances for recovery. 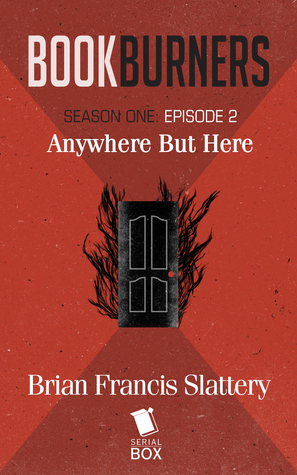 This entry was posted in The Bookburners Listen-a-Long and tagged brian francis slattery, serial box, xe sands. Bookmark the permalink.